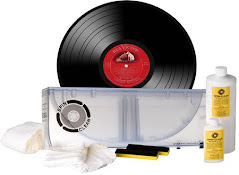 this really, really belongs in the category of you've thought you have seen everything....this is how my grandchildren will play a record? I f**king don't think so. 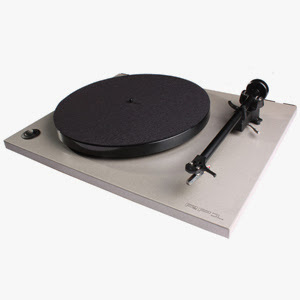 They will inheiret real vinyl and records that you play on a real turntable. This, I guess, is for someone, somewhere, but not in my house and not in my world! Canadian heavy metal legends Anvil have revealed the front cover artwork for their forthcoming new studio album, "Juggernaut Of Justice." You can check it out below. 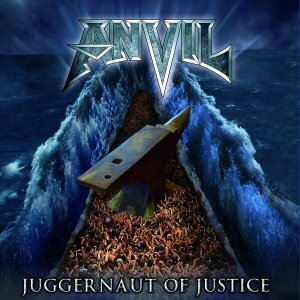 The album is scheduled to be released in North America on May 10th through The End Records. Styx’s Tommy Shaw To Drop Bluegrass Debut on March 22nd! 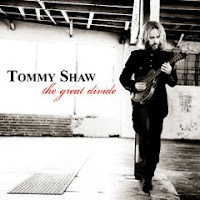 Tommy Shaw, guitarist of legendary rock band Styx, is set to release his debut Bluegrass album, “The Great Divide” on March 22nd, 2011, through Pazzo Music/Fontana Distribution. The album features an impressive roster of guest musicians, including: Alison Krauss, Dwight Yoakam, Jerry Douglas, Sam Bush, Rob Ickes, Stuart Duncan, Byron House, Gary Burr and many more. Gaggle will release a special run of vinyl for Record Store Day on 18th April. It's called 'The Brilliant and the Dark', and it'll be released through Transgressive as a limited-to-300-copies 12". As much of the music industry sees declining or flattening sales, there is one medium bucking the trend. In 2010 vinyl records saw an increase in sales by 14 percent, according to Neilsen SoundScan, an industry analysis company. According to this report, vinyl was the fastest-growing format with 2.8 million units sold. But those numbers need to be taken in perspective. Even with this increase, vinyl only accounted for less than one percent of the year’s total album sales. Still, this format that was once the norm, seems to have remade its mark on the industry. In Cheyenne, Wyo., Ernie November has been selling records for 15 years. Located in the heart of Wyoming’s capitol city, the store is a bastion for those who are looking for something interesting and new for their ears. and vinyl is doing well in the 'show me' state as well! Retiree Paul Wiesner has been buying vinyl records since he was boy in the 1950s and '60s; 28-year-old Patrick Houtz discovered vinyl seven years ago. Both agree that the sound, touch and experience of buying a record, taking it home and playing it on a turntable beats digital every time. In a world of MP3s, CDs, iTunes and Pandora, the two men are among an elite group who love vinyl. There are growing opportunities to indulge that passion, from Vinyl Revival night at a local bar to an upcoming record convention. Sebastien Chevrel, one of the owners of Capsule Labs in Los Angeles, has seen business improve slowly but steadily in the past few years. vinyl now getting more sales and interest in India! About a decade back, Radio & Gramophone House in Connaught Place, one of the oldest music shops in the city, did away with the shelf displaying Long Play (LP) records. About two months back, it restored its exclusive LP shelf, now full with recently released LPs of both western and Hindi film music. “We restored our vinyl shelf because now there is a sudden spurt of interest in LPs. Many of those who approach us are youngsters who have dusted off old LP players bought by their father and grandfathers. In the past month alone, we have sold dozens of LPs and new players,” says Rishi Jain of Radio & Gramophone House, set up in 1951 by his grandfather. Jain is not exaggerating. Long play records are staging a quiet comeback, with top music shops across the city once again storing and selling them. While supplies last, CDs of Bootsy Collins' new album 'Tha Funk Capital of the World' (out 4/26) will be available with eye-popping holographic 3D album art designed by Roy Koch, Mascot Records' in-house artist. Bootsy says, "The album cover art work breathes like it is a living being/city... it's alive." Kate Bush has re-recorded some of her old material for release on a new album this May. The elusive singer is said to be revisiting a selection of songs from her 1989 album 'The Sensual World' and 1993's 'The Red Shoes'. 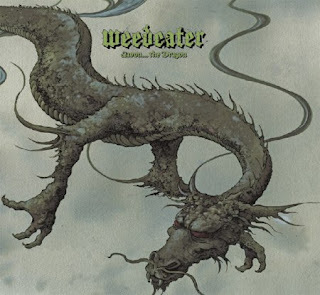 The new record will be named 'Director's Cut' and will come out on May 16. The album will be released digitally, on a CD, on vinyl and in a case-bound book. Foo Fighters are scheduled to release a 'covers' album to help celebrate Record Store Day. The album, 'Medium Rare,' will be released on vinyl in stores for the April 16th celebration. Among the covers on the record are versions of Pink Floyd, Prince and Paul McCartney and Wings tracks that the band have played live previously. Danny Stiles, who brought back the music of yesteryear, spinning records for more than six decades on New York-area radio, died Friday in Manhattan. He was 87 and lived in Short Hills, N.J. In 1969, Paul McCartney married Linda Eastman at Marylebone Register Office, London. They then held a reception lunch at The Ritz Hotel. Paul went to the recording studio in the evening to work. George Harrison and his wife Patti were arrested on the same day and charged with possession of marijuana. The charge was cannabis resin possession after authorities found 120 joints in their house. In 1974, John Lennon made headlines after an incident at the Troubadour Club, Los Angeles. Out on a drinking binge with Harry Nilsson, Lennon hurled insults at the performing Smothers Brothers before being forcibly removed. Nilsson, a good friend of Tom Smothers, thought he was helping the act because Tom had struggled through weak material at an earlier date. The R.E.M. album "Out of Time" was released in 1991. The album "Unplugged" was released by KISS in 1996. In 2001, Judy Garland’s “Over the Rainbow” was voted Song of the Century in a poll published in America. Musicians, critics and fans compiled the list by the RIAA. The highest placed U.K. act was The Rolling Stones with “(I Can’t Get No) Satisfaction” in 16th place. The Beatles’ “I Want to Hold Your Hand” came in at #28.